McKibben + Cooper Architects/ Urban Design are passionate about sustainable design, architecture, urban design, site design technologies, and are dedicated to the creation of great places of long lasting value. Our projects integrate smart growth concepts with the sustainable concepts of green building. We share the honor in receiving 10 Smart Growth Awards and 4 AIA Idaho Design Awards. Our work includes urban design exploration and design guideline development including multiple public workshops. Additionally we work with private urban infill developers on large and small projects engaging the public and stakeholders in extensive public charrettes that have resulted in unusual community support. 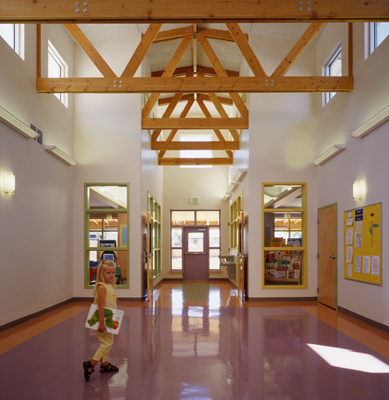 McKibben + Cooper Architects is a leading firm in sustainable design and has designed many local green buildings. We are long standing members of the Urban Land Institute and the US Green Building Council, founding members of the Idaho Chapters, and have joined the international building community in the 2030 Challenge to reduce global warming. We lead the field in commitment to high efficiency and healthy building, receiving LEED Certifications including Platinum. We are passionate about great urban design and promote it and green building through various personal and professional educational seminars and activities.